Law Web: Whether offence U/S 498A of IPC is made out if there is ordinary petulance and discord in matrimonial life? 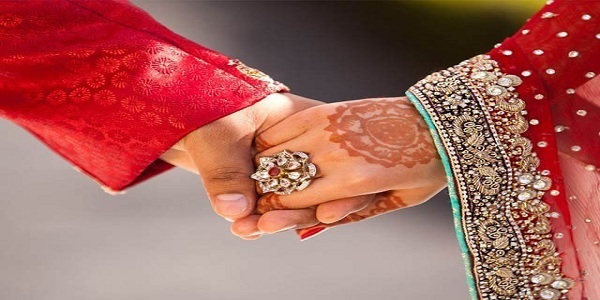 Whether offence U/S 498A of IPC is made out if there is ordinary petulance and discord in matrimonial life? Prima facie, this discloses hyper sensitivity of a wife, and ordinary petulance and discord in matrimonial life. Prima facie, this incident cannot be said to satisfy the requirement of ingredients of offence of cruelty defined in Section 498A of the IPC. Similarly, for making out an offence punishable under Section 306 of the IPC, what is required to be proved is mensrea. Without knowledge and intention, there cannot be an abetment. There must be some active suggestion or stimulation by accused persons to the victim. A.M. Badar, J.:— This is an application for suspension of sentence and releasing the applicant/accused on bail during pendency of the appeal. The applicant/accused is convicted of the offences punishable under Sections 498A and 306 read with Section 34 of the IPC and he is sentenced to suffer rigorous imprisonment for 3 years for the offence punishable under Section 498A read with Section 34 of the IPC and to suffer rigorous imprisonment for 10 years for the offence punishable under Section 306 read with Section 34 of the IPC. In addition, the applicant/accused and the co-accused are directed to pay compensation of Rs. 25,000/- each to the first informant. 2. Heard the learned counsel appearing for the applicant/accused at sufficient length. By taking me through the evidence of witnesses for the prosecution, the learned counsel pointed out that the incident dated 28th September 2014 is coming on record from the evidence of PW2 Premlata Sharma - mother of the deceased. By taking me through evidence of other witnesses recording the alleged ill-treatment, the learned counsel argued that evidence is lacunae and insufficient to hold that offences alleged against the applicant/accused are proved. 3. The learned APP opposed the application by contending that the offence alleged is serious and evidence of witnesses examined by the prosecution is sufficient to hold that the offence is proved and therefore considering the nature of offence, the applicant/accused is not entitled for bail. 4. I have carefully considered the rival submissions and also perused the impugned judgment and order as well as deposition of witnesses. 5. The applicant/accused married Neha Mehta (since deceased) on 27th April 2009 and thereafter she started cohabiting with the applicant/accused and his family at Nerul, Navi Mumbai, in her matrimonial house. Neha Mehta died suicidal death on 28th September 2014 by hanging herself at the house of the applicant/accused. 6. On the basis of report lodged by PW1 Kamal Sharma - father of deceased Neha, the applicant/accused and co-accused were prosecuted and ultimately convicted and sentenced as indicated in opening paragraph of this order. Charges of subjecting a married woman to cruelty and abetting her to commit suicide are held to be proved against the applicant/husband. 498A. Husband or relative of husband of a woman subjecting her to cruelty - Whoever, being the husband or the relative of the husband of a woman, subjects such woman to cruelty shall be punished with imprisonment for a term which may extend to three years and shall also be liable to fine. Thirdly - Intentionally aids, by any act or illegal omission, the doing of that thing. Explanation 1 — A person who, by willful misrepresentation, or by willful concealment of a material fact which he is bound to disclose, voluntarily causes or procures, or attempts to cause or procure, a thing to be done, is said to instigate the doing of that thing. 9. Section 113A of the Evidence Act prescribes rule of presumption in case of suicidal death by a married woman. Whenever the question arose as to whether commission of suicide by a woman has been abetted by her husband or relatives of her husband and it is shown that she had committed suicide within the period of seven years of her marriage and that her husband or relatives of her husband had subjected her to cruelty, then the court may presume “having regard to all other circumstances of the case” that such a suicide has been abetted by her husband or relatives of her husband. It is, thus, clear that, this presumption cannot be raised automatically on proof of suicidal death within seven years of marriage and subjecting a married woman to cruelty. Something more is required to be seen for drawing this presumption. 10. By catena of judgments of this court as well as Apex Court what amounts to cruelty as envisaged by Explanation to Section 498A of IPC is explained. Cruelty implies harsh and harmful conduct with certain intensity and persistence. It covers acts causing both physical and mental agony and torture or tyranny and harm as well as unending accusations and recrimination reflecting bitterness putting the victim thereof to intense miscarries. The conduct, in order to prove guilt, must be such as strongly stirring up the feeling in the mind of a married woman that life is now not worth living and she should die, being the only option left. In other words, provisions of Section 498A of the IPC envisages intention to drawing or force a woman to commit suicide by un-abetted persistence and grave cruelty. A willful conduct of such a nature as is likely to propel or compel a married woman to commit suicide or to cause grave injury or danger to her life, limb or health is required to be established. In other words, matrimonial cruelty is included from the definition of legal cruelty. To put it in other words, ordinary petulance and discord or differences in domestic life does not amount to cruelty. By keeping this aspect in mind, let us prima facie examine the instant case for a limited purpose as to whether the applicant/accused is entitled for liberty. If the impugned judgment and order of the trial court is perused, then it is seen that the reasoning part is in paragraph 65 of the judgment. Reliance is placed on evidence of PW1 to PW3 by the learned trial court. It is observed that the dispute was over the issue of the deceased having made “kaccha chapati.” Further observations are to the effect that this was too trivial matter to invoke extreme and harsh response of calling her brother and parents. In other words, the learned trial Judge was very well aware of the fact that the incident of commission of suicide was preceded by a trivial incident in the matrimonial life of Neha. Still, without further discussion, offence punishable under Section 498A of the IPC is held to be proved. Then by taking aid of Section 106 of the Evidence Act, as well as Section 113A thereof, it is held that the offence punishable under Section 306 of the IPC is proved. 11. Evidence of PW2 Premlata Sharma - mother of the deceased, reflects what was the incident which took place just prior to suicidal death of Neha Mehta. Mother of Neha (PW2) disclosed this incident by stating that on that day, excluding Neha, everybody in her house had breakfast. But when Neha was about to take breakfast, her husband i.e. the present applicant, asked her to prepare tea for his mother i.e. the co-accused. Upon that, as per version of PW2 Premlata Sharma, her daughter informed the applicant/husband that she is feeling uneasy and unwell. Then the applicant/husband had spoken bad words about parents and relatives of Neha i.e. his wife. This incident, according to prosecution case, as reflected from the evidence of parents and brother of the deceased, triggered her suicide. Prima facie, this discloses hyper sensitivity of a wife, and ordinary petulance and discord in matrimonial life. Prima facie, this incident cannot be said to satisfy the requirement of ingredients of offence of cruelty defined in Section 498A of the IPC. Similarly, for making out an offence punishable under Section 306 of the IPC, what is required to be proved is mensrea. Without knowledge and intention, there cannot be an abetment. There must be some active suggestion or stimulation by accused persons to the victim. 12. Perusal of evidence of parents of deceased Neha, prima facie goes to show that they have spoken about matrimonial cruelty rather than legal cruelty, as according to their averments, taunts to deceased Neha were to the effect that she was not knowing how to speak English, how to cook food etc. On this backdrop, parents of the deceased admitted that their daughter studied in English Medium at Army Public School and that she was even cadet in NCC. It has also come on record that after marriage the deceased continued her education. To crown this all, it is seen that prior to few months of the incident, PW2 Premlata Sharma had joined parental relative of deceased Neha to enjoy trip to Himachal Pradesh, Chandigarh and Delhi etc. i) The application is allowed. ii) Substantive sentence of imprisonment imposed upon the applicant/accused is suspended and he is directed to be released on bail on executing P.R. Bond of Rs. 15,000/- and on furnishing surety in like amount.